With a hidden internal pocket on the inside of the waistband and a side zip. The panels are cut on the bias to create the fluted look, stylish yet understated. A neat, basic little straight skirt with no waistband or pockets. Slim skirt with no pockets. Belt loops and functional feature pleats at the back. Deep side pockets, belt loops and box pleats on the rear. Features deep side pockets, belt loops and box pleats on the rear. A rear kick pleat opening is included for ease of movement. The Relaxed Fit Lined skirt is comfortable, with a longer length. Features a rear kick pleat opening for ease of movement. 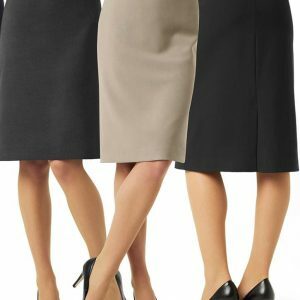 This is a slimmer fitting pencil skirt that sits high on the waist. 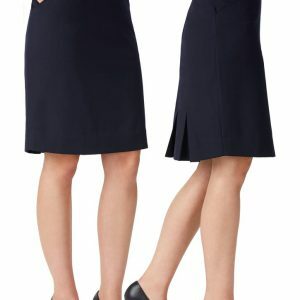 This a slimmer fitting pencil skirt that sits high on the waist. 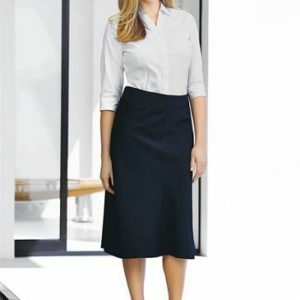 The waistband has a pleat feature that ensures this skirt is comfortable and practical.